The Tour de France is traditionally the place where you can spot prototype versions of components before they hit the shelves. CW?s Tech spies were there with cameras and fake moustaches to bring you the lowdown on what you might see in full production next year. FSA ceramic bearings. It?s a great testament for a product when professional teams are prepared to purchase it to replace that supplied by their sponsors. 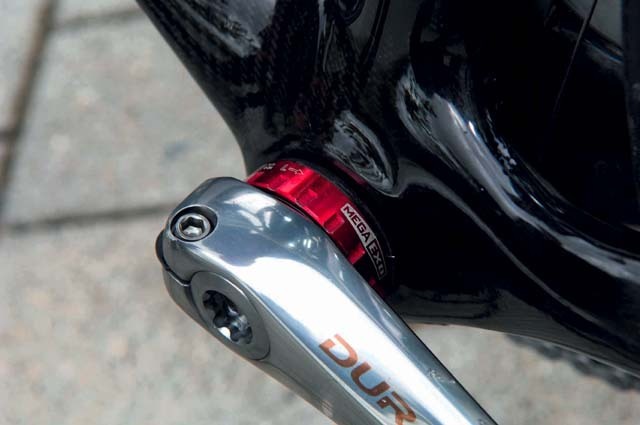 FSA ceramic bearings are being used by several teams instead of standard-issue bottom brackets. 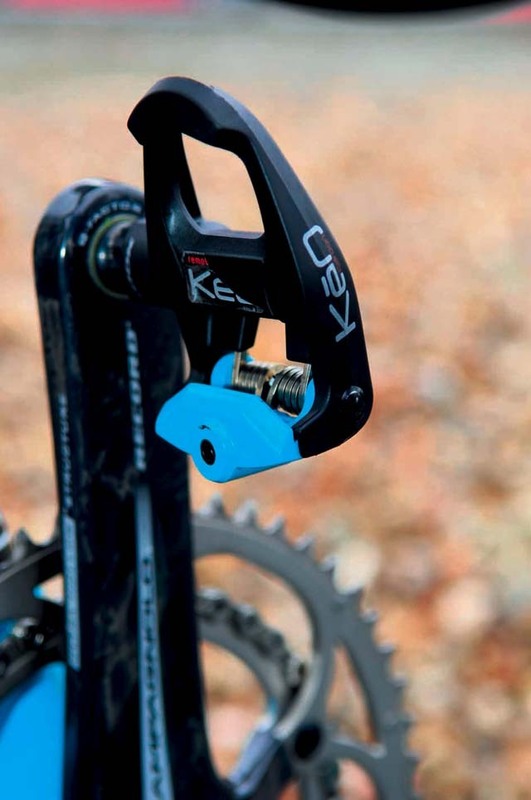 Custom Look pedals. Teams sponsored by Look are lucky enough to get customised back-plates on their pedals to match their kit. 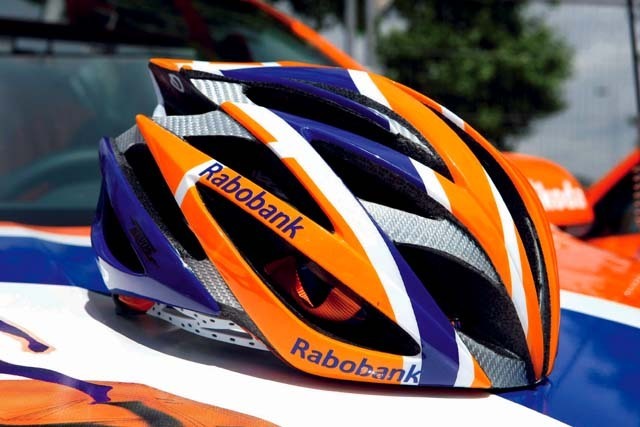 Giro Ionos helmet. With subtle changes from the Tour last year, Giro?s Ionos has been on the drawing board since last July, now featuring wider front venting with the central front ribs split apart, and a weight close to that of the Atmos. The objective was to increase the strength while improving ventilation, which is something all the riders were calling for by the end of the ?06 Tour. Easton EC90 wheels. Easton?s renowned carbon technology is used in its latest deep-section road rims. They are currently not in production as complete wheels, so are built up by the team on DT Swiss hubs. Measuring jigs. For professional riders fit is everything. For this reason just about every team has constructed a measuring jig to get it spot on. Here is the ultra-sophisticated version from Lampre. Easton branded Zipp wheels. 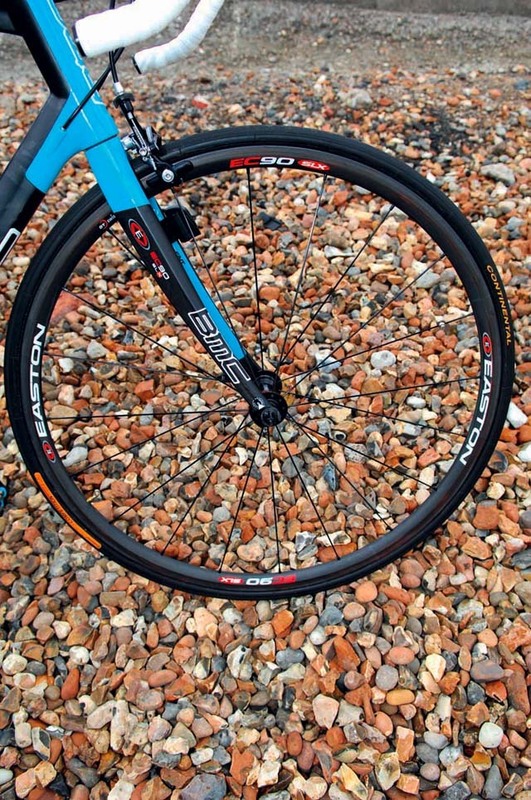 Instead of Easton EC90 wheels, half the Astana bikes where fitted with rebranded Zipp discs and wheels. Maybe with a lack of EC90 wheels, and BMC the main sponsor, it could be that these are remnants of the dissolved Phonak team?s equipment making up for any shortfalls. 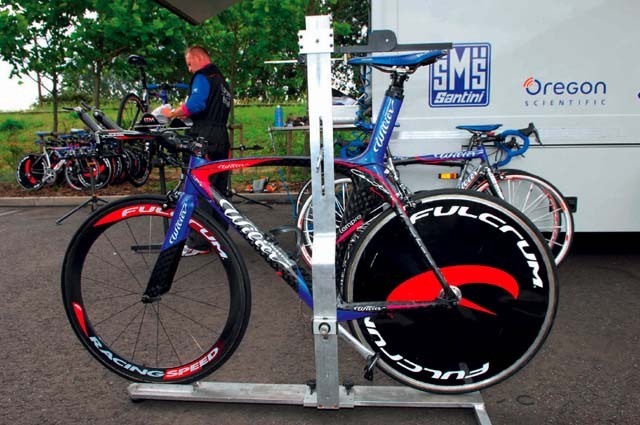 David Millar’s Scott TT bike. 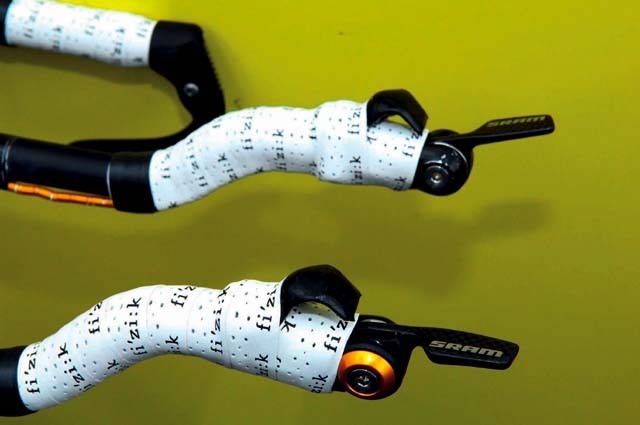 Thumb rests on his tri-bars encourage Dave Millar to adopt a more aero position, keeping his hands flush to the bars. BMC time trial cranks. 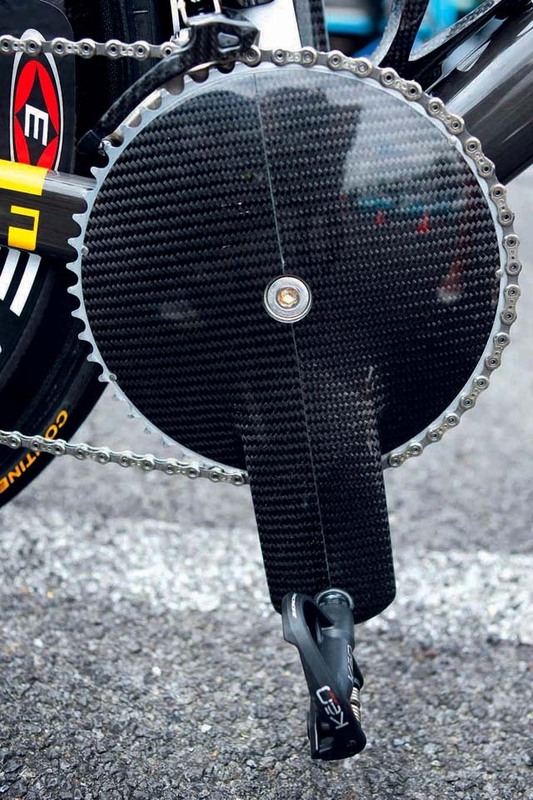 BMC produces these cranks to match its Time Machine TT01, but only for a select number of its sponsored athletes. 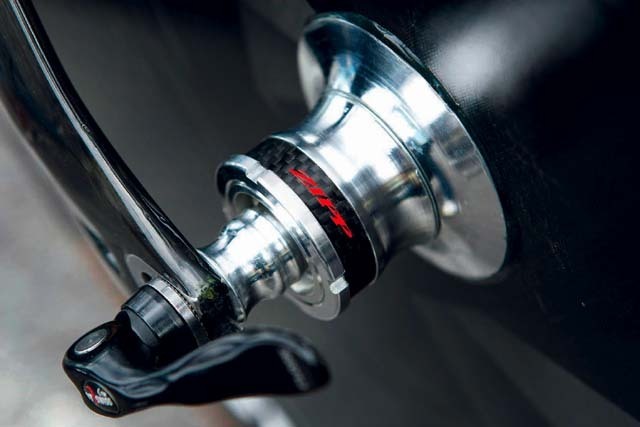 They are Campagnolo Record cranks that have been shrouded in carbon, improving aerodynamics and stiffness. 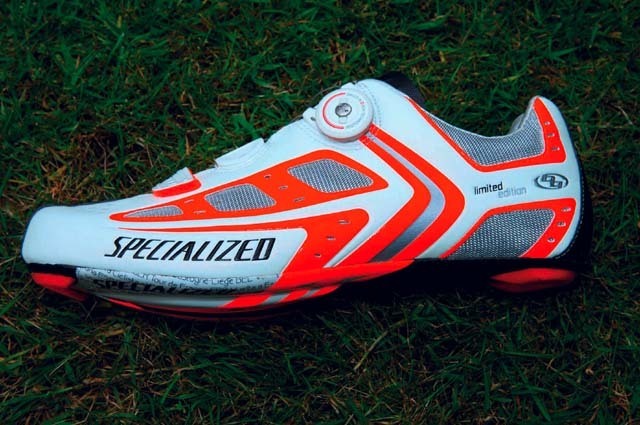 Specialized S-Works shoes. You?ll find these new S-Works shoes easy to spot in the peloton. The fluoro colourscheme might date back to the early 90s, but this new shoe is definitely up-to-the-minute technology. It is the latest in the Body Geometry range, and just weighs just 250g.